'Plock!' is a show by circus company Grensgeval and aifoon. aifoon created a sound design for this show with sounds that unconsciously guide you while you are watching. 'Plock!' is a fine example of circus and sound theater in which a painter-acrobat tries to match his great example Jackson Pollock ... 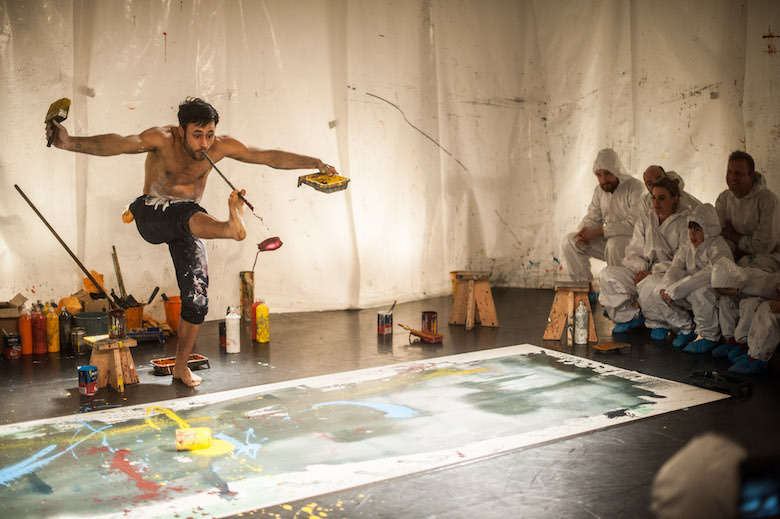 He throws paint, brushes, sticks and his whole body into the battle. The paint starts to dance, cans come to life, colours get sounds and vice versa. A colorful show for children (4+).